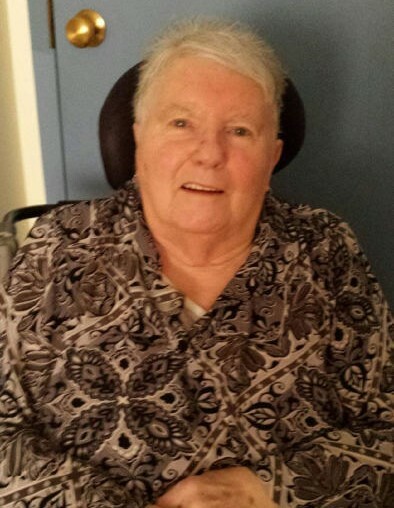 With heavy hearts the family of Vivian Ann Hachey, loving wife of the late Bernard Hachey, announces her passing which occurred at Rocmaura Nursing Home with family by her side on Thursday, February 07, 2019. Vivian was born on January 7, 1942 and was the daughter of the late Gordon and Viola Marks. Vivian is survived by her cherished children Janice Greenwood (Bill), Michael Hachey (Tammy Jeffrey) and Dawn-Marie (Bill Thomas), grandchildren Rachel Galbraith, Nathan Spencer, Maxwell Hachey, Carly Hachey, Natasha Smith, Alysha Morris, also survived by many great-grandchildren, brothers Karl Marks, Stephen Alexander, sisters Connie Wilkins (John) and Bev Pevlin (Steve). In addition to her loving husband and parents, Vivian is predeceased by her daughter Joanne, brother Keith Marks and sister Marion Verner. Vivian had a wonderful working career starting at Tupperware where she worked her way up to a management position. Following this, Vivian moved to the New Brunswick Museum where she was instrumental in starting a bookstore that would begin shipping books internationally. Vivian became an entrepreneur and ran “All Occasion Sales/Rental Wedding Shop” for a number of years and ended her career with Investors Group. Both Vivian and her late husband Bernard were proud members of Our Lady of Assumption Catholic Church, donating 2 stain glass windows to the church. Vivian was also the founding organizer of a yearly blanket drive which would provide warm blanks to the less fortunate in our community every Christmas, a tradition that still takes place today. Vivian shared a strong love for family and enjoyed hosting annual get together’s during Easter, Thanksgiving and Christmas. In her spare time, she loved to read autobiographies/biographies and watching Dr. Zhivago. Vivian loved listening to Johnny Reid, Susan Doyle and Daniel O’Donnell. 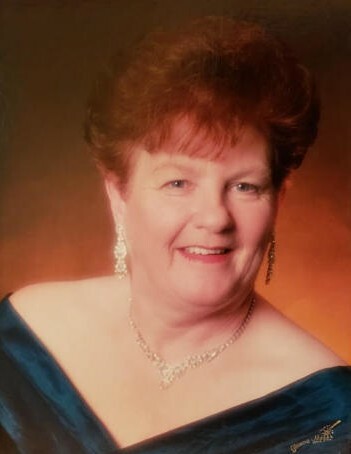 Vivian’s family will accept visitors at the Fundy Funeral Home, 230 Westmorland Road (646-2424) on Monday, February 11, 2019 between the hours of 2-4 and 6-8 PM. Funeral Liturgy will take place on Tuesday, February 12 at 11:00 AM from the Fundy Funeral Home Chapel.